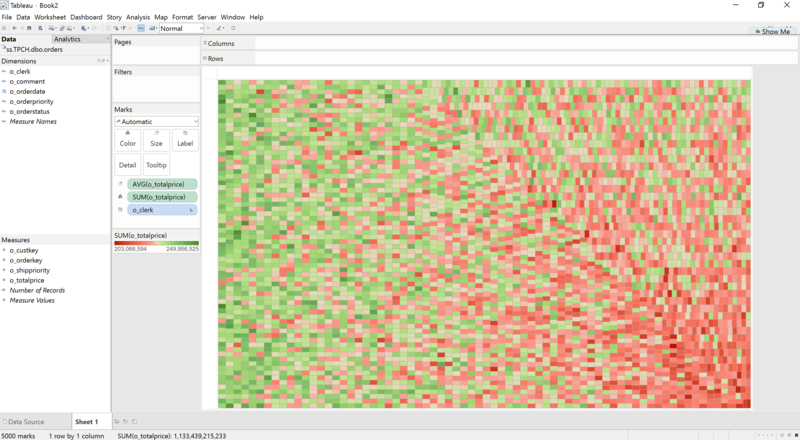 Select Tableau from the Analyze button&apos;s dropdown menu. Click on the file that you just downloaded and enter your Dremio credentials. Dataset is ready to be used in Tableau. When you click the Analyze (Tableau) button, Dremio generates a Tableau Datasource (.tds) file that represents a "live connection" to your Dremio dataset. No actual data is stored in this file, and you can think of it as a shortcut to a Tableau session with a preconfigured view of your data. 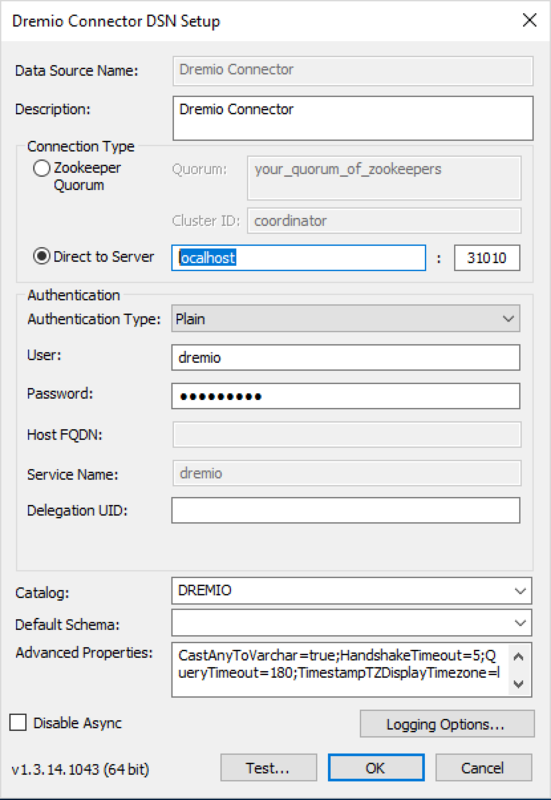 Select Dremio Connector from the DSN dropdown and press Connect. Your Dremio datasets will now be accessible from within Tableau. Just hit enter in the text field of the next screen&apos;s Schema dropdown to see what&apos;s available to explore on your cluster. 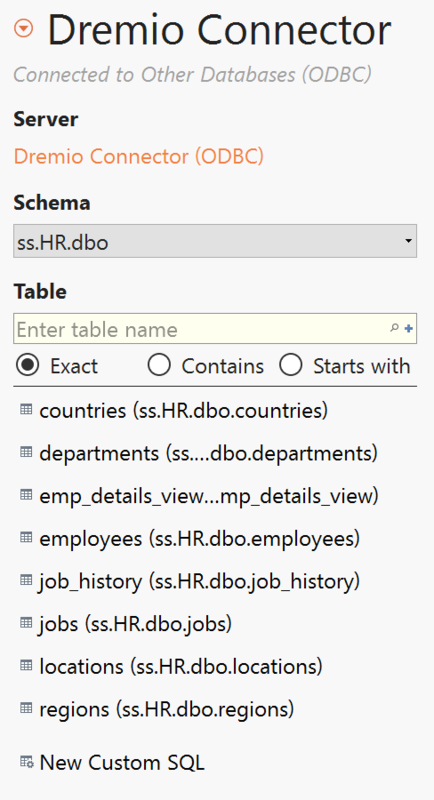 If you have SSL enabled on Dremio and you want to export a Dremio dataset to Tableau TDS format, you can do so by setting the export.tableau.extra-odbc-connection-properties Support Key in Advanced Settings. 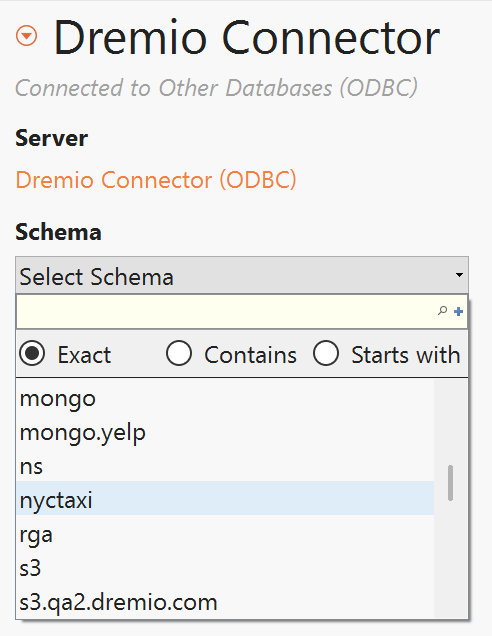 This property allows you to set the ODBC connection string when exporting a Dremio dataset to Tableau TDS format. The default is an empty string. 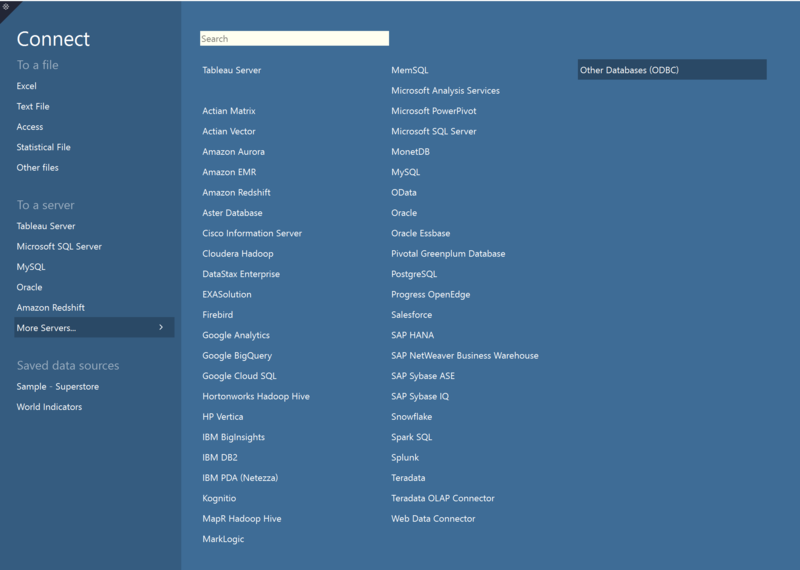 The export.tableau.extra-odbc-connection-properties property is available as of Dremio version 3.1.8. In the Dremio UI, go to Admin. Add the export.tableau.extra-odbc-connection-properties Support Key and click Show. Provide your value for the support key. 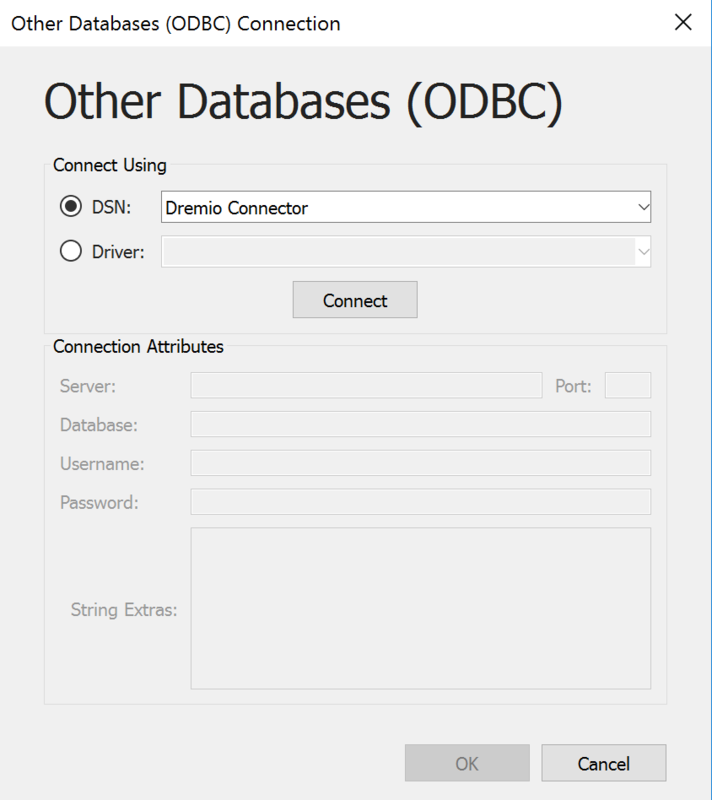 In the following example, SSL (for generating a self-signed certificate with an ODBC/JDBC Dremio configuration) is enabled in the dremio.conf file. See Using Wire Encryption for more information.